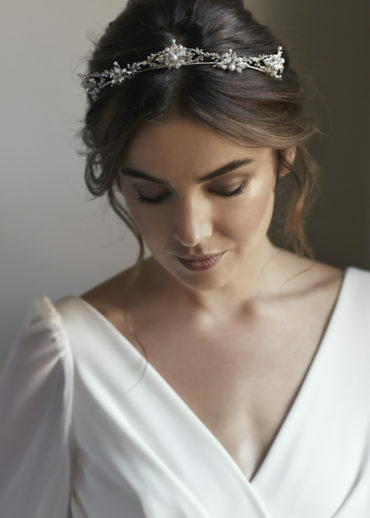 The Etoile crystal wedding veil was designed for our modern muse, a sophisticated and spirited bride inspired by all things beautiful with a hint of magic. Etoile, meaning ‘star’, is reminiscent of the stars above a magnificent secret garden. The Etoile veil is an unexpected take on a classic bridal look featuring crystal details masterfully applied to frame this modern and sleek veil. The perfect veil for the fashion forward bride seeking to add a touch of magic to an already luxurious and ethereal bridal look. 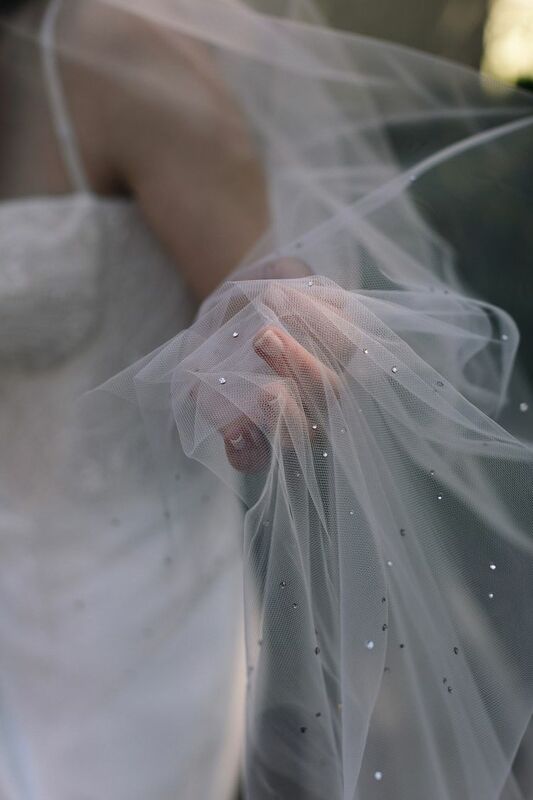 The Etoile wedding veil with Swarovski crystals is made to order. Please allow 8-12 weeks for production plus delivery times. Rush orders available for a fee. The Etoile chapel wedding veil is a truly exquisite piece that suits a range of wedding dresses and hairstyles. We recommend this veil for the bride who isn’t afraid to make a high style bridal statement on her wedding day. Our Etoile veil falls to 230cm from the comb to the end of the train. It can be customised to longer lengths upon request. If you are unsure which length will best suit your wedding dress, please contact us with photos of your wedding dress and height and we can get back to you with a recommendation. 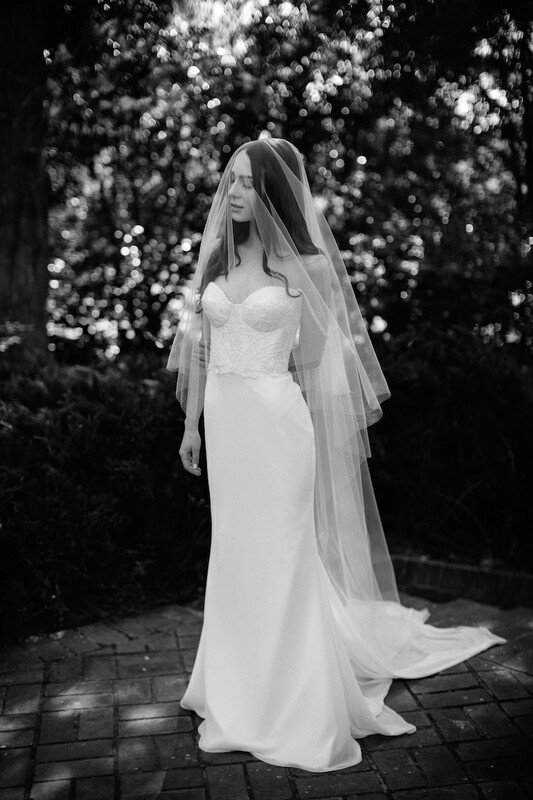 The Etoile is handcrafted from a lightweight bridal illusion tulle. It’s available in bridal white or soft ivory tones. We like to aim for a colour match or a shade lighter than your wedding dress.